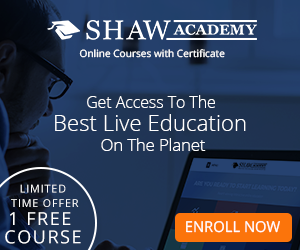 In all we do, we are driven to dig deeper, push further, and demand higher standards; keeping The Shaw Academy at the forefront of online education. Glen Goodman and Annie Weston have done the impossible - they’ve made finance fun! They use humour, music and sketches to help you learn all you need to know about money in an 8 week Open University course with a certificate at the end!